The folks of Mobileaks.nl have published a supposedly official render of the Nexus 5, once again rumored to be made by LG, although odds are very small of that happening. I must say I’m not a huge fan of this design, that I consider bulky, not modern and its upper and lower side don’t seem inspired at all. They’re too sharp and rounded at the same time, if you know what I mean. Also, the placement of the back speaker is kind of odd and the camera area looks… old. I can’t seem to find the earpiece at the front of the device and the volume buttons are totally unrealistic. 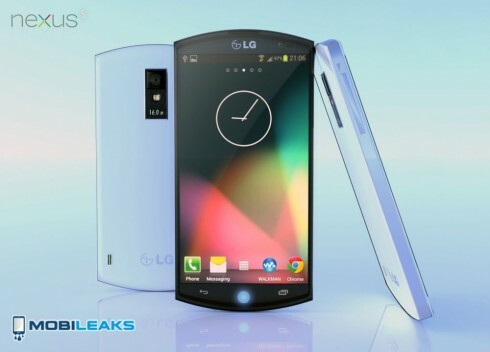 The only appealing thing about this model, aside from the strange inclusion of the Walkman app are its high end specs. Those include a 5.2 inch OLED display with a Full HD resolution, 3 GB of RAM, a 16 megapixel camera with OmniVision sensor and a 2.1 megapixel front camera. There’s also a 3300 mAh battery inside and a Snapdragon 800 quad core CPU at 2.3 GHz as the ticker. I’m 99.99% sure that this is just a fake render… how about you?